My sister loves owls. I wrote two years ago about these owl ornaments I made her. My tradition is to gift my parents and sister each with an ornament on Thanksgiving so they can think of me when they decorate their Christmas trees. I wrote last year about how my sister’s small, apartment-sized tree was looking a little full, so I made her this scandalous pillowcase instead. This year, I combined the two ideas and made her an owl pillowcase. She got one of the throw pillows from my wedding (the pig pillow), and I thought she might appreciate a Christmas-themed cover to swap out over the holidays. I included three buttons on the back side to secure the cover. Even they are owl-shaped! 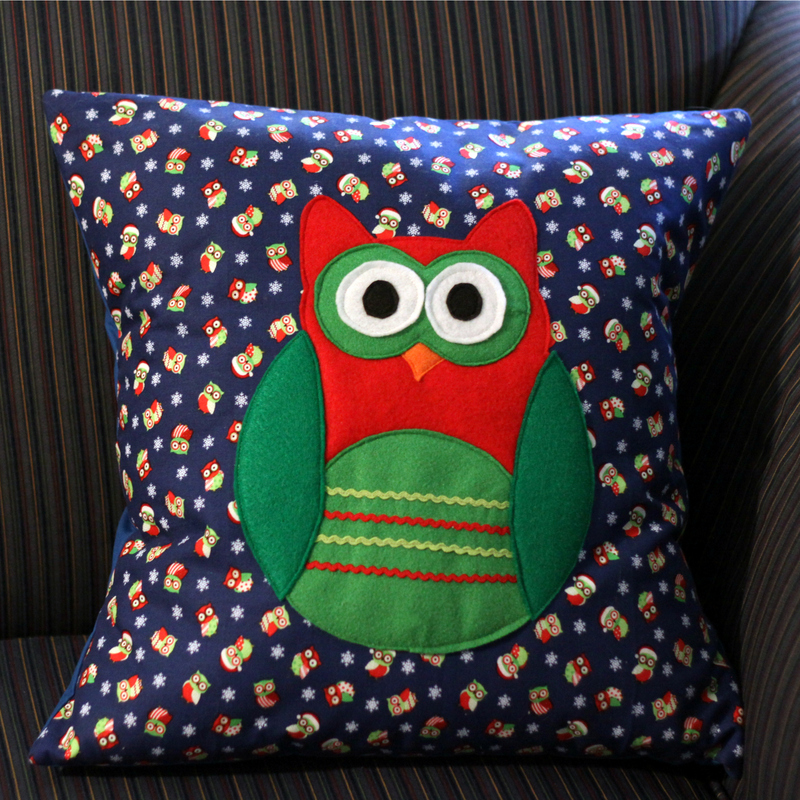 Categories: Quilts | Tags: christmas cushion, christmas gift, christmas owl, christmas pillow, gift, owl, owl cushion, owl cushion cover, owl pillow, owl pillow cover, owl throw pillow, pillow, pillow cover, throw pillow | Permalink. Very cute! 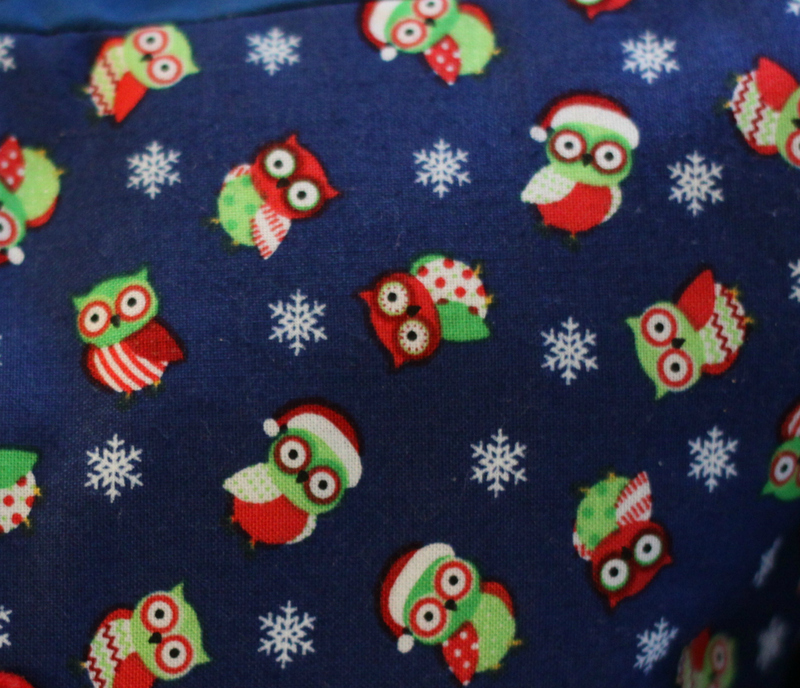 You are a good shopper to find Christmas owl fabric as well as owl buttons! Merry Christmas to you and yours! Thank you! In this case, I saw the fabric in the store and thought, “Well, it’s not like I can just leave it here when my sister so clearly NEEDS something made from it.” I’m pretty sure that’s how fabric hoarding starts! Hope you have a Merry Christmas, too!